We are all astrologers. Many of us just don’t understand the language yet. 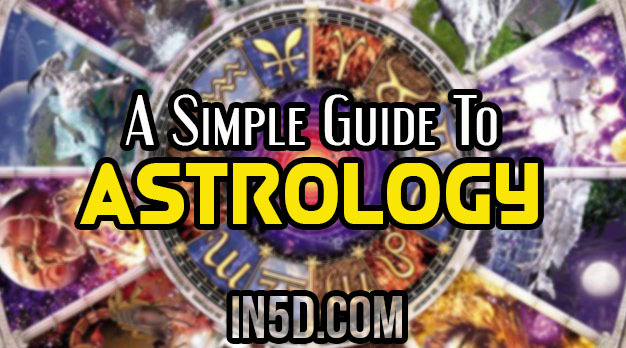 Astrology is as simple to learn as any spoken language, once we learn some new vocabulary. 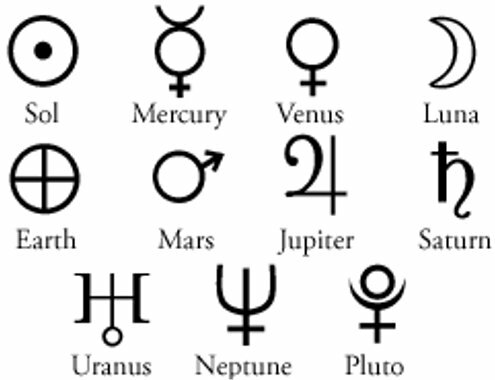 In the language of astrology there are only thirty four-words, and there are ten planets, twelve signs, and twelve houses. Once we understand their significance and the rules by which they operate, we are able to start to become proficient in conversing in this new language, interpreting and conveying meaning with increasing skill through practice and regular use, the same way we turn high school Spanish instruction into fundamental real-world fluency; no one will mistake us for a native right away, but we can get by, and with practice and experience, greater subtlety and precision are attained. There is no such thing as good or bad in an astrology chart. The key to the system of astrology is that every astrological symbol represents a spectrum of possibilities, and each birth (natal) chart describes the root of thousands of personalities. An individual can react to a natal chart either unconsciously, or respond as a self-aware, creative being. Astrology paints us a picture of how our lives could look when lived both at our highest potential and also in the shadow of lack of consciousness. It can reveal the innate tools that are available to us and show us how best to implement them. No such astrology chart, planetary transit, or astrology sign preordains a particular fate or outcome; rather, an astrology forecast is much like weather forecast, and how we choose to respond to the weather is entirely up to us. Some people love to dance in the rain, while others prefer not to get wet! Regardless, our destiny is always within our hands. Each astrological sign symbolizes the psychological processes that take place within our rational mind. The planets add a second influence by representing a particular psychological or cognitive function we possess, including intellect, emotions, ego, and our gravitation towards intimacy. In order for us to understand how the influence of a particular planet plays out, it must be interpreted in the context of both a sign and a house. Astrological houses add a third dimension, representing the tasks, issues, and life’s challenges we may face; for example, one house symbolizes the establishment of our personal identity relationships, while another represents our status in our community. The houses complete the system by asking the final question: where in our lives does each astrological sign and planet have the most impact? A birthchart is an arrangement of astrology’s primary elements: signs, houses, and planets, that is as unique to an individual as a thumbprint, and that represents the individual. It is a map that shows the way the sun, moon, and planets were arranged in the sky at the moment a person was born. A computer can construct a birthchart, but it could never effectively interpret one. To accomplish that, we must react to the chart the way we react to a living person. By employing all of our senses. We must react to the wholeness of their being intellectually, physically, emotionally and intuitively. There are only about three dozen words in astrology’s vocabulary, but when we include the laws of grammar and syntax, they combine in nearly endless ways. There are about three dozen words in astrology’s vocabulary, but when we add the laws of grammar and syntax they combine in infinite ways. The hieroglyphics spread randomly through a birthchart chart represent the sun, moon, and planets. These symbols are called glyphs. They are a form shorthand. Those numbers and glyphs around the edge of the birthchart tell us exactly where each sign lies. 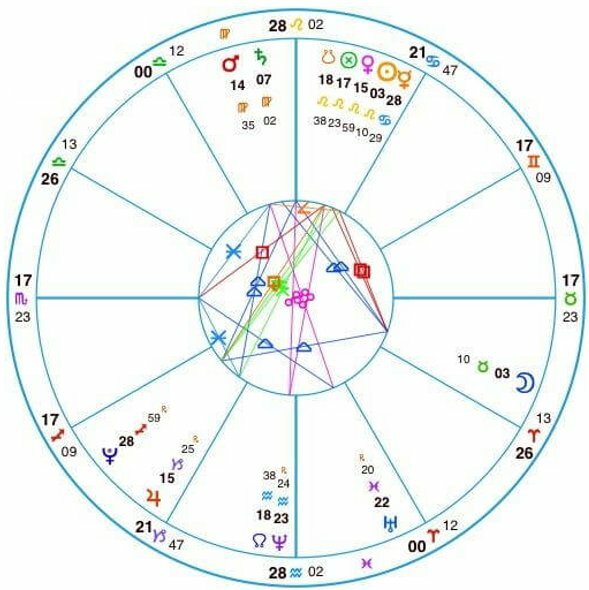 The horizontal line that runs across the middle of our sample birth chart above, represents the local horizon at the moment we drew our first breath at birth. Everything above this line represents what was visible in half of the sky when the individual was born. Everything below this line symbolizes what beneath the earth. The left end of that line represents the east, and the opposite west (just the opposite of how our maps are normally oriented). The twelve pie slices are the houses, and the numbers in the inner correspond to each house. Everything else in the sample birthchart has to do with signs. The numbers and symbols around the outer rim of the chart show where the signs were at the moment the individual drew their first breath. 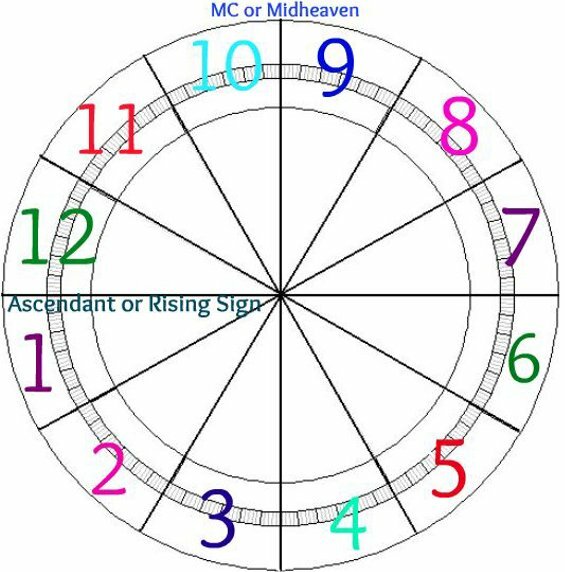 The numbers around the outer rim of the birthchart show us where the signs were in relation to the houses at the moment of the individual’s birth. The Ram embodies courage, and represents the ability of the will to triumph over any challenge or obstacle; nothing stands between the Ram and his/her chosen path. Provided Aries avoids accepting challenges in vain, and chooses his/her battles wisely, they will avoid an endless parade of drama and hassles brought about out of impulsivity, frustration or boredom. Aries highest resources are honesty, independence and an innate leadership ability. The Ram’s highest endpoint in his/her evolution, is the perfect harmonizing of their desires, actions, and freedom. The aim of a Tauren is to find serenity and to to sustain it. This sign prefers the ease of the outdoors, peaceful environments, intuitively rebels against incessant speech, and seeks peace bred by inner security. However, The Bull would be wise to avoid the lure of security for security’s sake, and remember to ask his/herself from time to time , “Am I here to grow or to be safe?” Patience, an aversion to drama, suspicion of complexity, a reliable network of relationships, and the instinct to seek out stable circumstances are often a Taurean’s strongest assets. Gemini was born to perceive the how world communicates with us, immersed in observations, more journalist than philosopher. They are also natural born debaters, and rarely lose an argument. The Twins have a natural curiosity that drives them endlessly; few signs of the zodiac live so tirelessly, and function on so little sleep. The continual hum of the Gemini psyche, when left to its own devices, can lead to tension and moodiness. Most Twins find a quiet heart-to-heart conversation with a good friend, free of intellectual or verbal jousting, soothing to an overstimulated mind. Likewise, physical exercise can be another beneficial counterbalance for the Twins. Ultimately, the aim of Gemini is to experience as much of life as their hearts can hold. The Crab is a vulnerable creature; feelings and emotions are the fabric of Cancer’s world. Born to penetrate the inner dimensions of life, they are intrigued by the reactive and subjective aspects of the rational mind. Every Crab, male or female, embodies the mother archetype in some form, and Cancer will draw out the sensitive side in most everyone he/she meets. No other sign of the zodiac feels with such intensity, and the Crab must develop a strong shell in order to avoid feelings of resentment, susceptibility, and depression. A slow and steady pace is essential for Cancer, maintaining personal boundaries. Cancer’s goal is to bring about healing through acceptance of the chaos and discord of life, loving and trusting and against the odds, embracing life. Positivity and true expression of personality are the aim of the Lion; all thoughts and feelings are laid bare, and Leo will tolerate nothing that attempts to inhibit that self-expression. Ironically, the infamous Leonine pride can cast a dark shadow over these inner truths, one of the few things that can conceal the Lion’s wounds, doubts, and sorrows or prevent Leo from asking for the love and support from others he/she truly desires. While the Lion has the natural charisma and charm of the King archetype, Leo also embodies the Child with characteristic spontaneity, a sense of wonder, and a playful nature. Given an appropriate creative outlet, the Lion knows instinctively how to be present, to live for the moment, and to shine brightly. Leo comes to this life to leave an individual legacy, tangible evidence of his/her spirit at work in the world. The Virgin embodies our capacity to be of service through humble self-assessment and relentless idealism. Perfection is a relative and abstract concept. The Virgo shadow is cast when self-sacrifice in pursuit of perfection become martyrdom. When Virgo’s unrelenting inner critic goes untempered by self-acceptance, self-destructive patterns will emerge. In order to avoid such pitfalls, Virgins must learn to love and accept themselves and others, despite flaws. Virgo’s highest form evolves and improves continually over a lifetime of transformation through synthesis and service. A Libra also tolerates a paradox like no other sign. In the rationale mind, a tolerance for paradox is wisdom, but on the world stage, taken too far, it can manifest in indecision and stagnation. Libra can stand at the crossroads, paralyzed by the realization that neither direction is correct. This are The Scales shadow. Without commitment and action, life can become be long and tiresome. At a certain point, The Scales must be willing to roll the dice, and to fully commit to the outcome, otherwise life will go on, and pass them by. The ultimate goal for Libra is for an attainment of unwavering inner-harmony despite external circumstances. The aim of the Scorpion to make the unseen seen, and the unconscious conscious; The sign of death. A Scorpion is often considered one of the sexiest signs of the zodiac due to their deep penetrating emotional energy. Scorpios are mercilessly introspective, and instinctively suspicious; They plunge into the minds of those around them, for deeper knowledge and understanding of their inner motivations, and they are often quite successful in finding them. A Scorpio’s fascination with underlying truths and death, helps them to gain greater courage and self knowledge. Too much knowledge too soon however, can cause a Scorpio to fall into doomsday thinking, darkness and despair. The Scorpion must learn to balance their intensity through grounding activities and cultivating gratitude for the present moment. Scorpios are here to live every minute as if it were the last. That is the Scorpion’s endpoint. To live with unwavering intensity. The lifeblood of Sagittarius is growth and understanding. This sign is symbolized by the Gypsy, the Student, and the Philosopher, each a respective manifestation of the Archer’s essence in body, mind, and spirit. Sagittarius loves to move into new and intriguing landscapes, intuitively absorbing new information and fresh perspectives and expanding consciousness. Impulsiveness, excessive optimism, and poor judgment are Sagittarius’ potential pitfalls; for example, they are the most likely of the twelve signs of the zodiac to marry in in haste. However, a little patience and preparation can be the Archer’s salvation, saving a brilliant Sagittarian spark from being snuffed out tragically by life’s travails. Freedom, to live fully, to become aware of the principles of the universe, and to understand the meaning of life is the ultimate aim of the Archer. Capricorn symbolizes the marriage one’s nature, and identity and integrity. Worldly power to The Sea-Goat does not signify prestige, it signifies freedom. Capricorn must select a world stage role that expresses their own personal values, interests, and whims, and that allows them to be content with their thoughts and endeavors, whatever they maybe. It is a corruption of his/her innate need for solitude and external power that may cause an imbalanced Capricorn to stray off course into a patronizing attitude, tyranny and dictatorship. No sign can appear so icily unemotional amidst personal crisis. An ideal strategy for Capricorn, is to learn to be content without the approval of others, and to find their own practical support for their need to be self sufficient. Just as the world opens up before The Sea-Goat must learn to do what comes naturally; To remain grounded, industrious and to fall back on their inner-solitude. The end point for Capricorn is the marriage of one’s inner-world and one’s public identity. Most Aquarians are born with the feeling of being an outsider. Tribalism and conformity are anathema to the Water-Bearer; to overcome them, Aquarius must cultivate an absolute commitment to personal truth. Conventionality is a social mask Aquarius may choose to wear, donned a terrible price. The path becomes a dark for the Water-Bearer when it is not her/his own; they can quickly feel ostracized and alienated. Aquarius is one of the most ingenuous signs of the zodiac. They are natural able to employ fresh perspectives and novel approaches to problems when others are at an impasse. The ultimate goal of Aquarius is to teach us independence, individuality and how to choose our own path. The evolved Aquarian learns to stand firm and to speak the truth with resolve — even with a voice that shakes. The Fishes represent how our inner worlds and outer worlds intertwine, and they posses an intuitive awareness of our higher levels of consciousness. 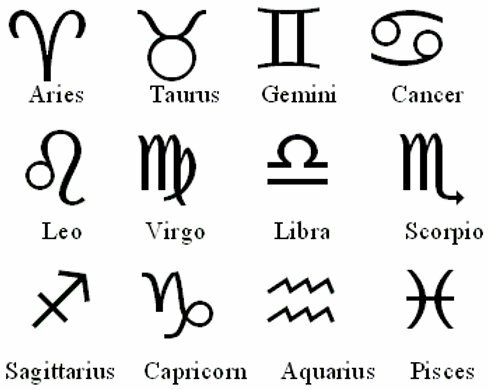 This is the last sign of the zodiac because it contains all of the sign’s possible viewpoints simultaneously. The Pisces’s shadow? It is escapism. The Fishes when overwhelmed by all its imagination and creativity will attempt to hide from the horrors of the world, turning away from every potential hurt or obstacle, subverting their belief in the objective universe. The Fishes must learn to go of the illusion. How? Through meditation. Empathy, understanding and compassion come naturally to Pisces, and whatever form of exploration the path of a Pisces takes, it will represent another key Pisces resource: Self-transcendence. The endpoint for Pisces is the realization that no matter what we do, wherever we go, or whatever we see, we can only meet one inescapable reality: our own consciousness. The differences in perspectives between astronomers and astrologers, make it appear as though there are two distinct systems of planets in our solar system. Astrology is astronomy inside out. The astronomer’s viewpoint is from billions of miles above the sun. The astrologer observes the planets in our solar system as they appear from planet earth; as the planets appear to stop and go, change course, and reverse themselves . When a planet appears to be going backward, in astrology, we refer to the planet as retrograde. To imagine a planet in retrograde, imagine we are driving along in our car. Up ahead, along the road side we see a jogger. As we are approaching the jogger, the jogger is moving forward. At the moment we overtake them, we observe the jogger as moving backward against the scenery. From the perspective of an astrologer, earth is our automobile. The sun and moon never go retrograde, because our sun is the center of our system, and our Moon is the only planet in astrology that orbits the earth. In general terms, a retrograde cycle in astrology represents a cycle of time, where we have a supportive opportunity in time for us to review any lessons in a from a preceding planetary cycle, before entering their new cycle. .
Each planet has a unique personality, and represents a compartment of our human consciousness it brings into each of the houses as guides. Not one chart is ever completely absent of any planets; every birthchart contains all ten. They vary only in terms of which houses in which the planets are most emphasized, and how we choose to express them in our lives. Function: The Sun embodies our truest self; who we are beneath the ego. This star guides us to the answers to the questions: Who am I? What is my Soul’s (Sol’s) purpose? Function: The Moon is about emotional development, and how we respond to life emotionally; our-overall emotional constitution. This planet helps us to understand how and where our feelings, moods, and emotions are expressed. Function: Mercury is the planet of education, intelligence and communication. It shows us what our intellectual and communicative strengths and weaknesses are. Function: Venus is often referred to as the planet if love, and appropriately so. This function of this planet is the development of relationships in all forms. This planet helps us to identify what we need in a partnership, and what we can bring into our relationships, including the relationship with ourselves. Function: The red planet is the development of will and the expansion of courage. Mars shows us where we can be more assertive, take more risks, and where we need stronger boundaries. Function: Jupiter’s function is the creation of faith, vitality, confidence and boosting our spirits. This gas giant shows us where we need to cultivate more optimism and inner faith. Function: Saturn is about the cultivation of self-discipline, self-respect, sovereignty, and our faith in our life’s destiny. This planet shows us where we need to learn how to chop wood and carry water, and stand on our own two feet; where our faith will be tested most. Function: The planet about the development of our individuality, and our capacity to question authority and the transcendence of cultural and social programming. Uranus points to the departments of life where we must be most willing to bend or break the rules, and to function with out familial and social approval. It shows us where our pursuit for truth will be most challenged by the status quo. Function: The function of this dreamy planet is the harmonization of our higher consciousness (soul) with our rationale mind. Neptune shows us where we need to rely more on our intuition than our logic, and where we are vulnerable to having a distorted view of reality, when we are not grounded enough in our physical reality. Function: Pluto is about the realization of our life’s purpose, the development of our capacity to discern the truth, and the recognition of shallow pursuits. This planet illuminates where we may find the most wisdom for which there is the greatest need. It also identifies where we will most benefit by guarding our selves against dogmatic or tyrannical behaviors. There are twelve houses and twelve signs in the zodiac, and both of these systems parallel. For example, Aries is the first sign in the first house, therefore the dramas of Aries are also the dramas of the first house. The same goes for Taurus in the second house. Gemini in the third, and so on, right through to the end in Pisces and in the twelfth house. Learn one system and you are well on your way to grasping the other. The only significant difference between signs and houses is one of focus. Signs are psychological processes. They refer to events that happen in our minds head. Houses are purely experiential. Purpose: The establishment of our personal identity. Purpose: Finances, material possessions, and what we value. Challenges our self-worth. Purpose: Information gathering. Information sharing. Purpose: Unconscious, emotional, intuitive underpinnings of personality. Domestic life; our home. Attunement to our higher-consciousness. Purpose: Pleasure. Playfulness. Creative self-expression. Finding love and joy. Purpose: Responsibilities. Skills and competence. Devotion and service. Purpose: Intimate relationships. Identification with others. Purpose: Instinctual behaviors present in human consciousness. Awareness of one’s immortality and sexuality. Purpose: Personal ethics and philosophy. One’s world view. Purpose: Career. Status in our community. Purpose: Our plans, goals, and sense of direction in life. Identification with groups, organizations, movements, our social crowd (clique). Purpose: Pure consciousness; Ego transcendence. Events and experiences that free us from our identification with personality. The key to understanding the interactions of planets and signs lies in remembering the differences between them. Each serves a distinct purpose. Lose sight of that and your interpretations will be as fuzzy as a ball of yarn in a box of kittens. A planet asks the question what? A sign takes that what and develops it with a how and a why. Look at the planet to ask which mental function are we considering? What part of the mind are we talking about? Self-Identity formation with the sun? Discipline development with Saturn? Look to the sign that motivates the planet. What is that planetary function? The sign provides us with the answer to why; the purpose. Ask, How can that planet-sign combination achieve its goal? What relevant resources does the sign contribute, and what are its strengths and weaknesses? Consider how can that planet-sign combination be distorted. What kinds of shadowy behaviors are consistent with the meaning, but incongruent with its higher evolutionary purpose? Look at the house. Where are the planet-sign lessons being developed? What kind of behavior are they manifesting? Which responses to the planet and sign could be most supportive in one’s circumstances? If you trust these five steps to guide you on your path as an evolving astrologer, your interpretations will be unique, accurate, and specific.